Temporary protection order: This order can only be issued when criminal charges for domestic violence or stalking are filed against the person abusing or harassing you. This order will only last while the criminal case is before the Court. To find out more information on how to get a temporary protection order, contact the prosecutor's office for your city. Civil protection order: This order can be issued at any time (even when criminal charges have not been filed), can last up to five years, and is used when the abusive person is a member of your family or living with you. Stalking protection order: This order can also be issued at any time and can be used when the person harassing or abusing you is a total stranger. If this what you want. 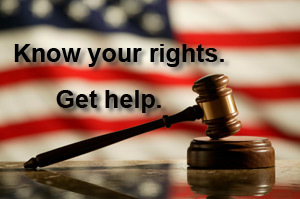 If you a victim of domestic abuse and need legal advice, please call 415-864-4722.